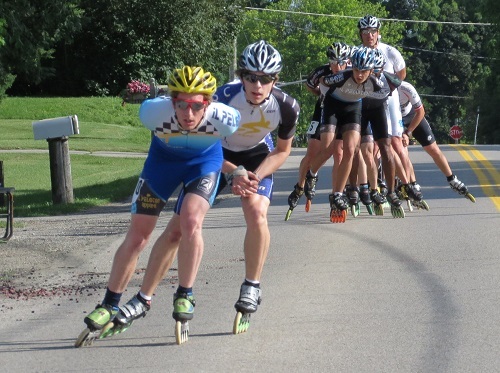 RSC affiliated Toronto Inline Skating Club hosted the annual Canada Day Marathon, an event with 42km, 21km and 10km distance options held outside of Cambridge, Ontario. Sergio Almeralla won the 42km thanks to an early breakaway. Morgane Echardour was the women’s winner, finishing with the lead pack. 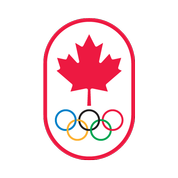 Le Toronto Inline Skating Club, un club affilié avec RSC, a tenue le Marathon de la Fête du Canada. 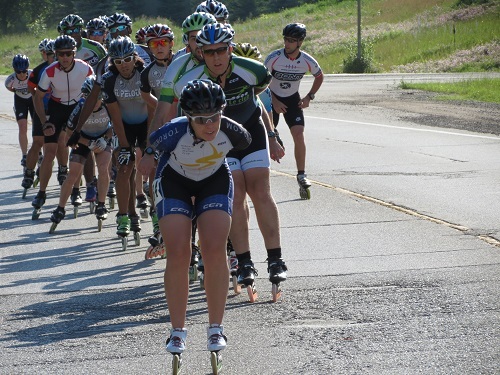 Les patineurs avaient l’option de participer dans un 42km, 21km ou 10k. Sergio Almeralla d’Ottawa a remporté la victoire dans le 42km en s’échappant tôt dans la course. Morgane Echarour a réclamée la victoire chez les dames en restant avec le groupe de tête.